Watch: Coyotes Try To Eat My Trail Camera! If you’re serious about deer hunting like I am, you have probably used trail cameras to assess your local deer population. 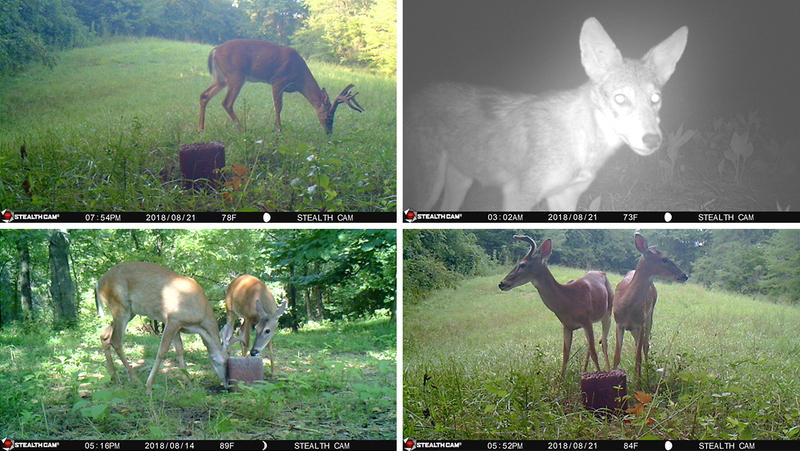 Trail cams can come in handy and are great tools for tracking migration schedules. They can also capture things you wouldn’t expect to see. I have been using trail cameras on our property to track whitetails and get ready for hunting season this fall. My setup consists of a Stealth Cam G30 Trail Camera placed in front of a 50lb mineral block. I’ve seen consistent whitetail traffic along with turkey and other animals visiting the area. I started to see a small pack of coyotes that were consistently hanging around after moving one camera to a new location. This side of the property is close to a neighbor that raises Guineafowl, so I wasn’t surprised to see a few more coyotes than usual. Coyotes are small compared to wolves, but they can still be a big threat to livestock, pets, and even humans in some cases. The coyotes were probably drawn to the area because of the steady whitetail traffic. The innocent looking pups were content with just playing and chasing one another. Although, it wasn’t long until the they decided to turn their attention to my trail camera. 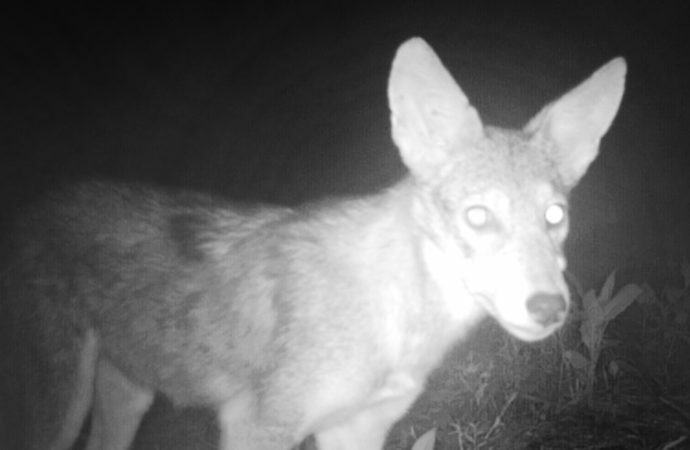 Over the course of a few days the coyotes could be seen pulling and chewing at the camera. Watch below, as the coyotes were ultimately successful in pulling down the camera, leaving it in a brush pile about 10 feet away. Still set on motion detection, the camera was only able to capture swaying tree branches and the occasional spider crawling across the forrest floor. Why Did They Go After The Camera? The Stealth Cam G30 is marketed as a “Low Glow” infrared light camera. It seems as though some of the animals, coyotes in particular, were drawn to the camera while it was recording video using infrared light. 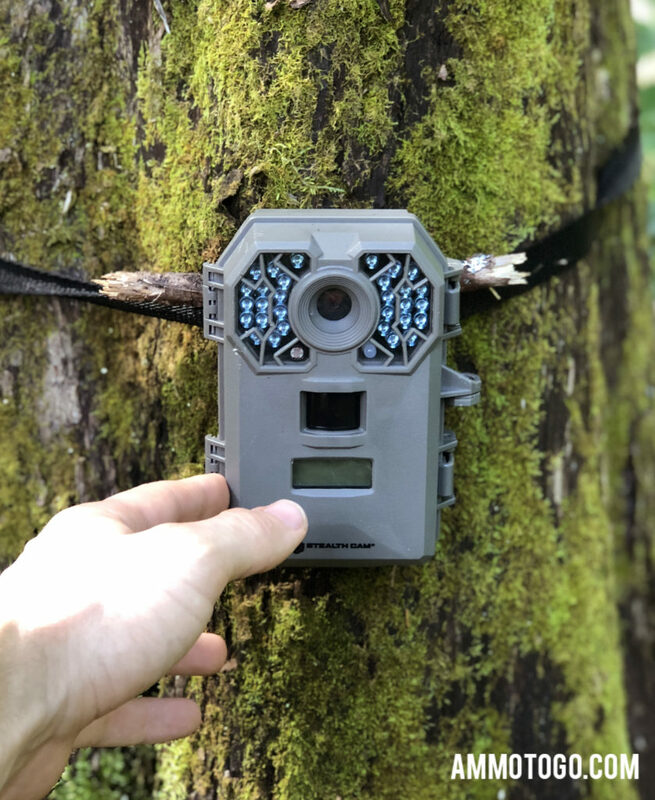 The National Center for Biotechnology Information completed an in-depth study into the effects of trail cameras on wildlife. 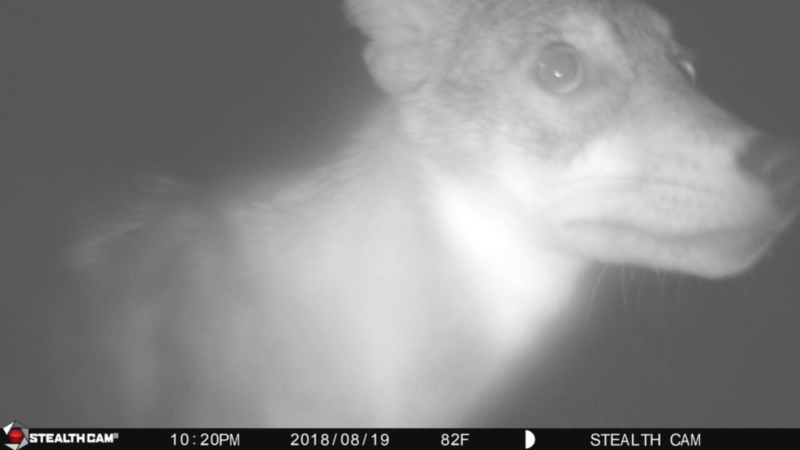 The team found strong evidence that animals can hear the sound of, and see the infrared illumination of camera traps. This may be why the coyotes took an interest in the camera. By following some of the tips below you should avoid any major issues with wildlife or even humans tampering with your camera setup. Consider using “no glow” or “blackout” trail cameras. These cams use led emitters which transmit infrared light above a certain light spectrum. This makes them almost invisible when recording, compared to “red glow” or “low glow” infrared light. Use a secure strap (or two) when mounting your camera to a tree or post. Hang your cameras 4-5 feet off the ground, as to keep them out of reach of coyotes and other animals. Consider using tamperproof trail camera boxes. These are typically made of metal and have a spot to add a lock for added protection. Don’t eat bucket of chicken fingers prior to hanging your cameras. Coyotes love chicken and can’t resist a good cajun seasoning. 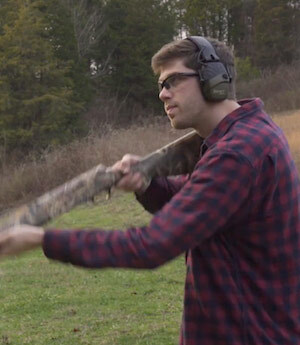 Use scent eliminators when working with anything gear or tools used for hunting purposes. My original intentions of my trail cam setup was just to monitor the whitetail deer on the property. After my experience with the coyotes, I am shifting some of my efforts to predator control. Coyotes have been known to take down full grown bucks, and I would hate to lose any of my healthy deer to an angry pack of ‘yotes. Have you ever had something like this happen to you before? Share your experiences with us below.